This is a sponsored post written by me in partnership with Glade®. As always all opinions are my own and hope you enjoy. Today, I am excited to share another post inspired by the new Glade® Autumn Collection. 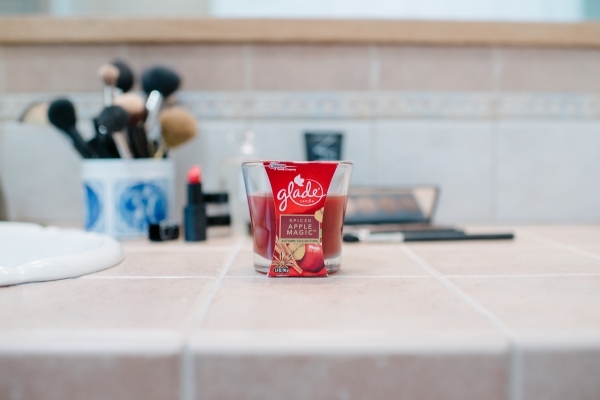 To celebrate autumn as a time of transformation, I first added the new Glade® Spiced Apple Magic fragrance into my space. The notes of apple cider and cinnamon, paired with spicy nutmeg helped encourage me to step out of my comfort zone and test out a new, bold look for the season. 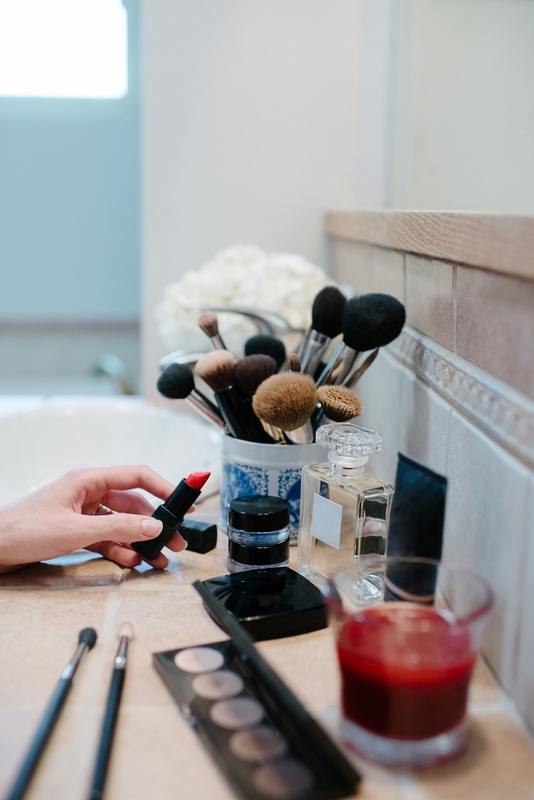 When it comes to date night, a beauty statement is a must. I for one love to get dressed and dolled up. I usually keep my face makeup classic, but this time around, I was tempted to spice up my look and really step up my date night game. 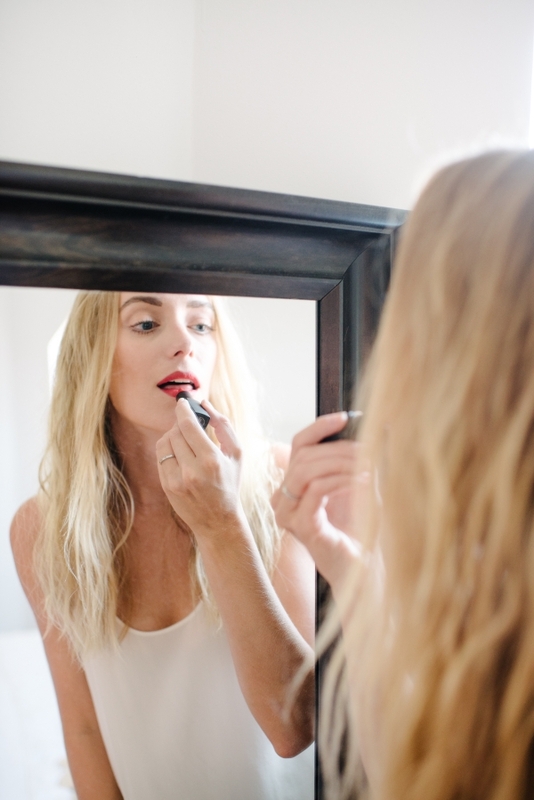 Feeling inspired by the bold scents in the Spiced Apple MagicTM candle, I chose a glamorous red lip – it is by far the quickest way to swipe on some confidence. I feel like when I wear a red lip, I can take on the world. The rest of my date night look includes my favorite basics that come together to create a chic look. I am such a fan of black and white dressing and the lipstick adds the pop of color my look needed. I picked out a pair of cropped skinny jeans to show off my shoes. I added a simple white silk top and topped it off with an oversized black blazer for those chilly nights. I love a strappy sandal as a sleek option to dress up a pair of jeans. And Voila! 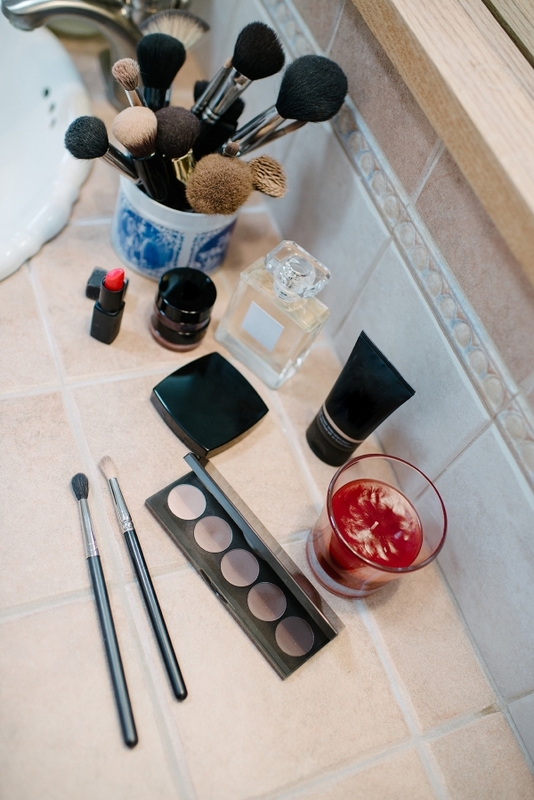 An easy, but bold date night look that will have you looking and feeling great for a night out with your honey. To find your inspiration and learn more about the new Glade® Autumn Collection fragrances, please visit www.Glade.com and follow Glade® on Facebook, Twitter, Pinterest and Instagram. Natali - Top notch, classy outfit!! Thuy - It’s interesting to see how you take the Glade scents and transform them into an outfit inspo! DEMELER - So stunning girl! Monika - Lovely red lipstick! DNATHESHOP - Love this simple, no fail chic date night ootd. Rachel - Simply stunning! Gorgeous!